These experts cite unionization as one of the most important ways to “[improve] wages and working conditions.” They directly referenced Teamsters Local 1932 within the report as the catalyst behind one of 2018’s success stories; San Bernardino County Preschool Department workers came together as Teamsters to win a fair first-time union contract earlier this year. 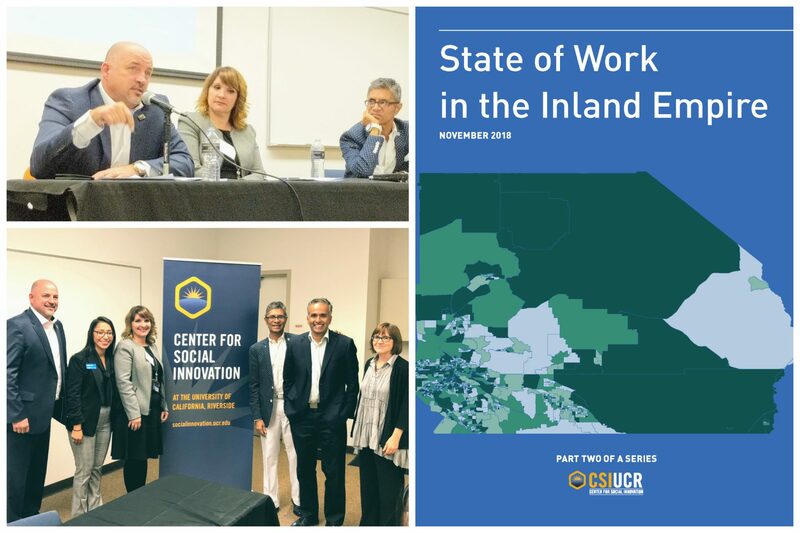 During the event, Teamsters Local 1932 Secretary-Treasurer Randy Korgan spoke in a panel about the “State of Work” from the perspective of various community stakeholders mentioned in the report. Korgan outlined initiatives that our union stresses as crucial to improving the state of work in our region: (1) the forging of a regional approach to economic development that ensures any job growth comes with promised economic gains for workers, (2) improving conditions for working people to organize unions and (3) an end to irresponsible tax subsidies for warehouse developers and the low-wage tenants that operate within them. “Throughout the past 25 years, I’ve had some very compelling conversations over a dinner table, with people that were just looking to try to get a little bit better way of life, while they’re in the face of their employer, who are exploiting them, threatening them, trying to scare the bejeezus out of them, because they’re just simply trying to organize — which is their right,” Korgan said on the panel. Teamsters Local 1932 is moving forward in 2019 to continue transforming the Inland Empire. Watch Secretary-Treasurer Randy Korgan’s panel portions below. Visit www.socialinnovation.ucr.edu for more information on the UC Riverside Center for Social Innovation.